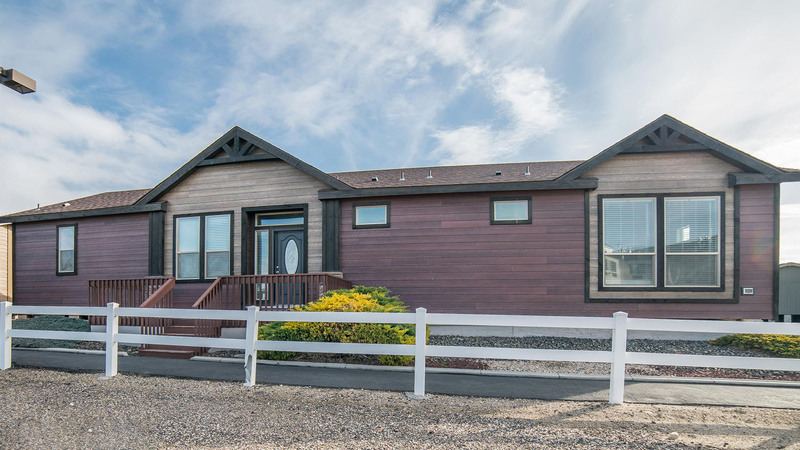 Displayed here on the pages of ManufacturedHomes.com are floor plans, 3D virtual tours, videos and descriptions of thousands of manufactured home models available across the country. Following is our arbitrary subjective consensus of the top 10 manufactured home models “we” find most appealing. That being said, any of the models we have ranked could be at the top of the list, dependent upon personal preferences of the individual viewer. Most of those listed are large homes, as bigger homes tend to be more appealing for most shoppers. However, each of these manufacturers build smaller square footage homes utilizing those same appealing factors and styles. You will also note that all 10 of our favorites have similar floor plans, a layout that is most popular with home purchasers, master bedroom and ensuite bath is privately located away from guest bedrooms with kitchen and living room in the center of the plan, eliminating wasteful hallways and maximizing living space. Browse manufacturers and scroll down to the builder’s name to enjoy a 3D self-navigating 3D virtual tour of the listed home and other homes produced by that builder. Big, bold and beautiful customizable home features an optional 9’ high flat open beam ceiling, lots of big windows, interior barn wood accents, luxurious master ensuite, entertainment beverage center and much more! Expansive and elegant estate style family home with an abundance of customization features throughout, beautiful kitchen and elegant master bath. 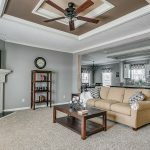 Open concept floor plan, beautiful handcrafted cabinets, modern fixtures and large wrap around covered porch adds distinction and style to the residential exterior. Beautifully crafted inside and out with elegant finishes and features, skillfully designed floor plan and signature farmhouse style covered front porch. Covered porch entry into living room with wall of large windows allowing natural light to permeate entire home, bright modern kitchen, luxury master bedroom suite with retreat. Midsize family home with big home features including eclectic decor color scheme, glamorous master bedroom ensuite and bright modern kitchen. Beautiful extra large island kitchen with an abundance of rich wood grain cabinets seemingly endless countertops, tray ceiling in living room and lots of natural light emanating from multiple large windows. (8) PALM BAY 6263 by SKYLINE HOMES of OCALA, FLA.
Large windows with transoms throughout, distinctive archways to bright modern kitchen with elongated center island, stylish decors and state of the art fixtures and finishes. Skillfully designed to maximize living space, liberal application of decor and materials, beautiful patio style kitchen, luxurious optional in-suite master bath. Large fully integrated wrap around covered front porch offers dining room views and access from bright modern chef’s style kitchen, ideal for casual indoor/outdoor dining and relaxation.